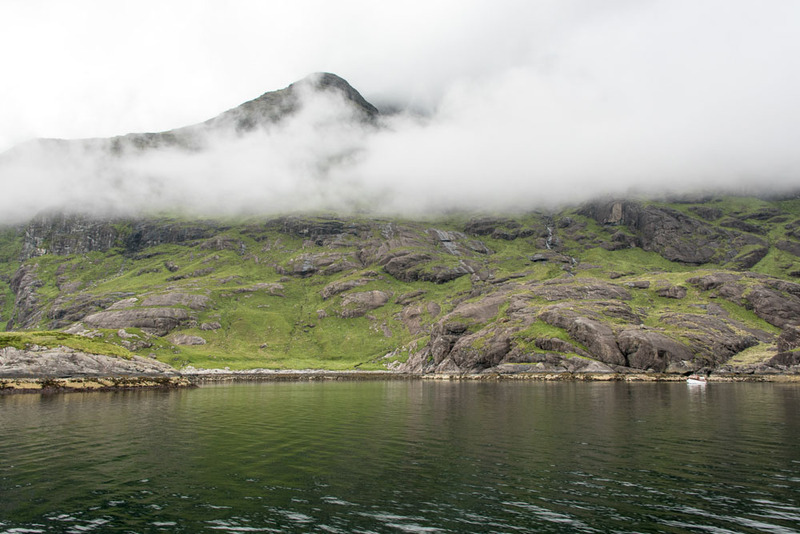 Scotland – A land of long summer nights, hidden lochs, legends and romance. A land of ancient folk and stark beauty, scented by sea and moorland all waiting to be explored by you. There is no better way to experience the full glory of the highlands than by sail, so come and celebrate this exclusive chance to mix a cocktail of tall ships, salt water and whisky or uisge beathe, ‘the water of life’, aboard Bessie Ellen. In association with The Whisky Lounge, this voyage will focus on Islay’s Feis Ile, taking you on a journey through special Malt whiskies produced on the Island, tasting, understanding and learning about the culture and industry surrounding their production. Not everything will be ashore however. Our expert tasters from the Whisky Lounge will introduce you to a number of interesting and rare whiskies over the event, holding at last two tastings on board. Their interest and knowledge will surprise and indulge your tastebuds. It’s not all about the Spirit though and there is plenty of opportunity to explore unspoilt beaches or to dance the night away at a ceilidh, reeling with the locals before clearing your head, rowing home across the moonlit loch to your cosy berth. Whisky and water – a blend of sea salt and the wonderful flavour of Islay (pronounced Eyela) shaken up with some Ceilidh (cayley) dancing thought the Feis Ile. Our journey will start in the highland town of Oban, the hub of the west coast. After a tea of smoked fish and a wee dram you will set sail, heading down the Sound of Kerrera. Depending on the evening we may pass either side of Jura, but we will be sure to see the infamous Coryvrekkan, a giant maelstrom of roaring tide between Scarba. This time of year there is little darkness, and maybe you will like to join in the crew on the watches, or savouring a favourite Lagavuilin as the sun sets beyond Iona. Our aim is to show you Islay and the Feis, a mixture of island life and traditions and whisky, hosted by each and every one of the famous distilleries. All week long there is a programme of events that we will be joining some of, not all, to savour the unique flavour that makes the island what it is. 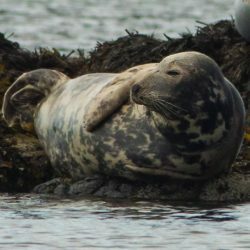 The scenery is wonderful and to show you more of the off lying island, include sailing around the coasts of Jura, visiting Colonsay and Oronsay plus, if the weather is fair, head out to Iona. During your week aboard, either Joe or Eddie from the Whisky Lounge will host a few evening tastings for your complete malt experience. Seeking out some special ages and flavours, their knowledge and interesting quirky facts about the golden liquid will guarantee to expand your own interests. If we are lucky, Joe may even bring out the guitar! Not all evenings will be in port and at anchor our chef will use the very best of local ingredients to cook you a sumptuous supper. There are wines, whiskies and ales aboard, but please do bring your own special cask if you have one. The Feis Ile programme will be coming soon. And if you have any requests, please do let the captain know on your arrival so we can plan accordingly. As always, Scotland’s wildlife boast some of the wildest and natural habitats for animals and birds. Red deer abound on Jura and you can often make out large heards roaming the hill. Sea Eagles and some Golden Eagles are high in the craggy tops while ashore the corncrake will enchant you with its call. Many cruise liners also come to Oban. Once in Oban, hire a car or bicycle or use taxis or buses to get around. Cycling: Oban is on Route 78 of the National Cycle Network which goes up to Fort William and down to Cambeltown. Visit the Sustrans website for more information. A daily bus service operates from Glasgow’s Buchanan Street Bus Station leaving around 9am which makes a connection with the ferry at Kennacraig. Check the timetable schedules for exact departure times with Scottish Citylink Coaches by telephone on 0871 266 3333 or book online at www.citylink.co.uk. Advance ticket bookings can often be rewarded with substantially cheaper fares. Try : flybe.com/cheap-flights/islay/ for easy travel to and from the islands. Oban, and the surrounding area of Lorn, can boast all types of accommodation to please all tastes and suit all sizes of budget. There are 4 star hotels, guest houses of all descriptions, traditional bed and breakfast, self catering accommodation in the form of chalets, farm houses, flats, cottages etc. If you arrive early and wish to see a little of the area, we can suggest McCaigs Folly at the top of town, walking in Kerrera or just enjoying a large lunch in the seafood capital of the isles. The Oban chocolate factory is a must for those with a love for the sweet stuff.